Very nice location. Big beautiful yard with a lot of chairs and tables to hang around under the pine trees. The host was very nice and helpful. They even give us a bed for the 1 year baby. The apartment has all you need for a family vacation. Very clean and at every two days they cleaned the apartment and changed the towels. Very close to the Koukounaries beach, but also at a walking distance to other beautiful beaches. 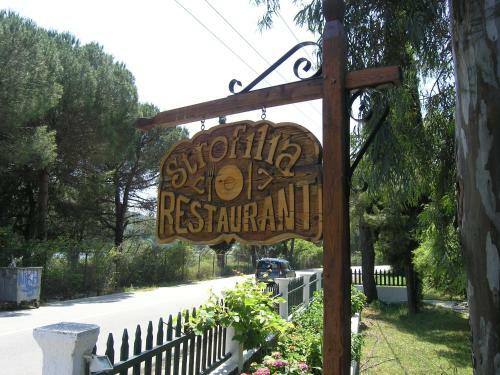 There is also a dinner restaurant in the yard (Strophilia Restaurant) - a chic and worm restaurant with very good food. If we ever get back to Skiathos we will definitely stay at Strophilia. 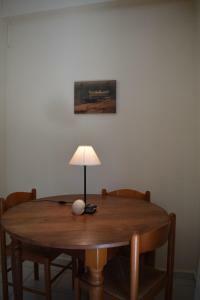 The Apartment was clean, bed was very good, good location near supermarket, very nice owner. Such a relaxed and welcoming place. 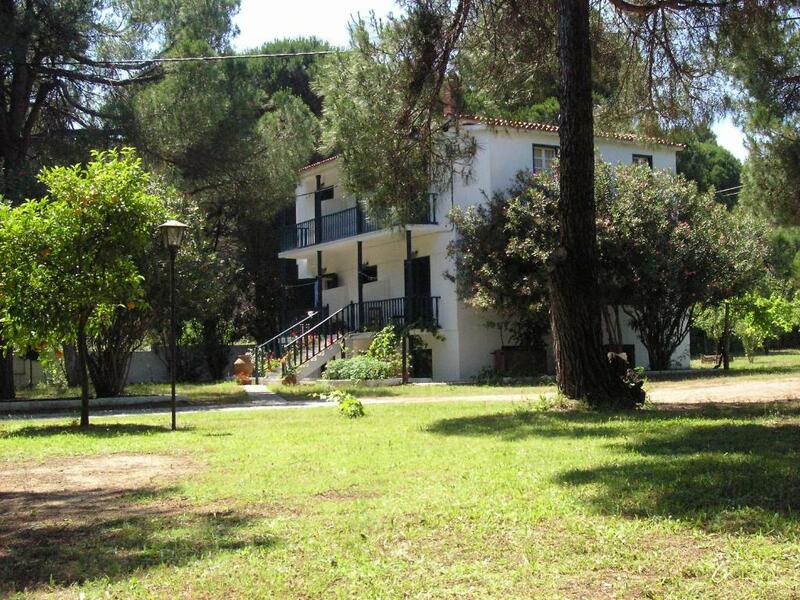 We love skiathos and this is the best accommodation we've had there. Perfect for our family. Great communication from staff beforehand and nothing too much trouble. Nice, clean and quiet accomodation 750 m away from Koukounaries beach. Big 2 room apartment with good facilities. Large garden and very good restaurant just in front. Exelent people. Great location. The facilities where super clean and the food at the restaurant was amazing. large rooms, fantastic garden, very good pizza at the restaurant, stylish balcony with marvelous view, helpful host and his young assistant, supermarket round the corner, everything very good! Apartment was big with plenty of space for our family of 4. Air conditioning & WiFi in the room a welcome bonus. 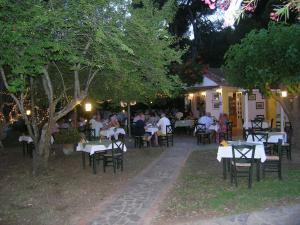 Cleaned & new linen every other day, friendly staff & Yiannis very polite & helpful. Such a relaxing, chilled place. We had two bed apartment, did not have a seating area inside apart from bedrooms but the gardens outside are wonderful place to eat take aways/relax. Also restaurant onsite is not to be missed. Great location. 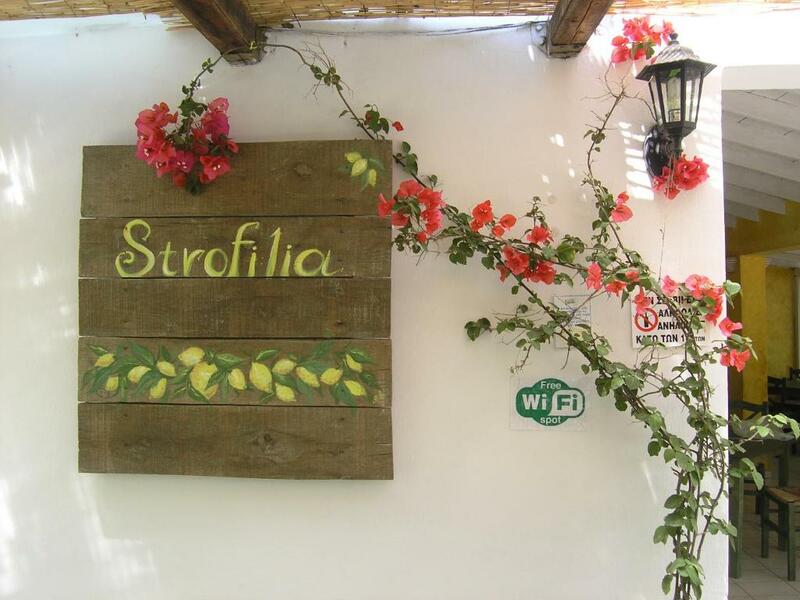 Lock in a great price for Strophilia Apartments – rated 9.3 by recent guests! Strophilia Apartments This rating is a reflection of how the property compares to the industry standard when it comes to price, facilities and services available. It's based on a self-evaluation by the property. Use this rating to help choose your stay! 650 feet from Koukounaries beach, Strophilia offers self-catering accommodations set within a lush garden. 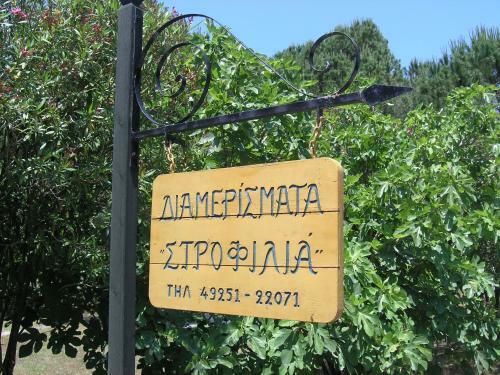 Within walking distance, guests can find a supermarket, taverns and bars. Strophilia Apartments are traditionally decorated and have a balcony overlooking the grounds. Each apartment has a well-equipped kitchen with fridge. A private bathroom with shower is standard. 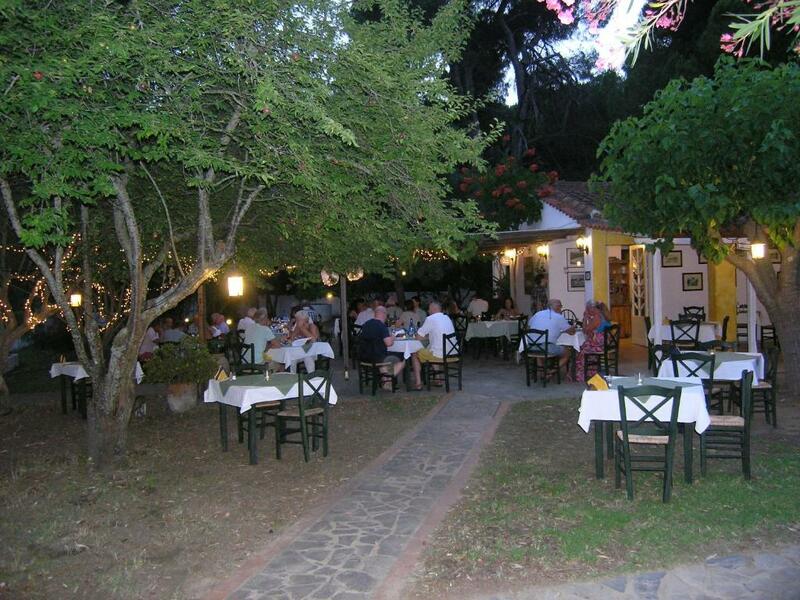 The picturesque main town of Skiathos is 7.5 miles from Strofilia, while the airport is at 9 miles. A bus stop, right outside the premises, has services to the popular beaches of the island. Free on-site parking is available. This property also has one of the top-rated locations in Koukounaries! Guests are happier about it compared to other properties in the area. When would you like to stay at Strophilia Apartments? Traditionally decorated apartment opening to a balcony with garden view. 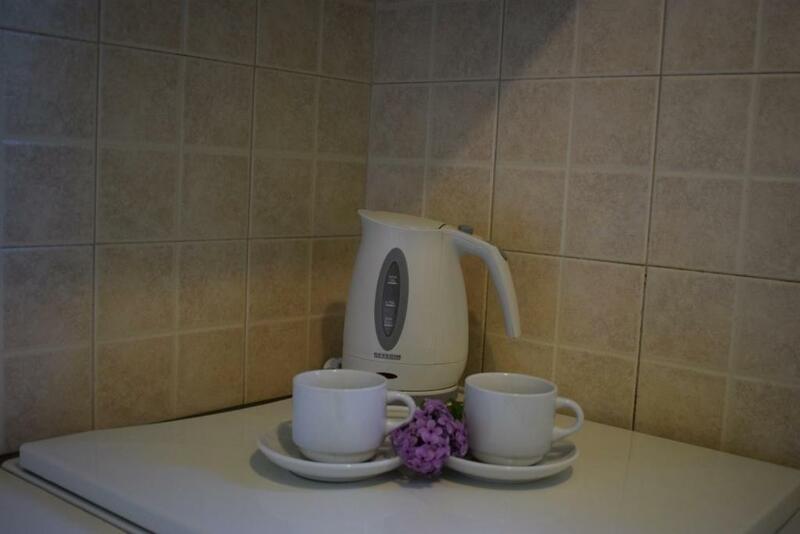 It has a well-equipped kitchen with fridge and a private bathroom with shower. House Rules Strophilia Apartments takes special requests – add in the next step! Strophilia Apartments accepts these cards and reserves the right to temporarily hold an amount prior to arrival. Please inform Strophilia Apartments of your expected arrival time in advance. You can use the Special Requests box when booking, or contact the property directly using the contact details in your confirmation. not always hot water first thing in the morning, no information like Emergency Telephone numbers, No smoke Alarm for an Apartment for 4 people not enough cutlery etc. Noise from some neighbours which on one occasion included a door being slammed 5 times in a row at 8am - this is no reflection on the property/staff as beyond their control. Yiannis was such an amazing and friendly host. He was always available for any queries. Very friendly, professional and helpful. The apartment was fantastic for me and my parents. It was cleaned every other day. The garden was a great place to relax and the surroundings were lovely. The location of the apartment was perfect. Very close to the beautiful koukounaries beach and the great restaurants nearby. The supermarket was very close which was a great convenience for me and my family. All the staff were were very friendly. I will definitely be visiting this apartment again. I strongly recommend it to everyone. 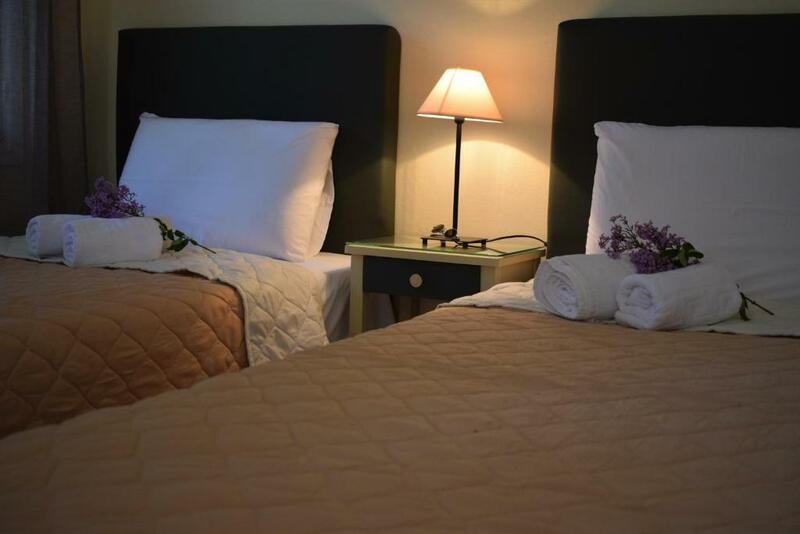 The rooms are great sizes and there are great storage facilities. I thoroughly enjoyed my stay here. Thank you Yiannis. The garden needs tidying a bit and the chairs and seating could do with cleaning down every two days because it is quite a wooded area. We have stayed in Koukounaries 5 times now and really love the resort. Yiannis is the perfect host and was always available to offer assistance. Although the accommodation had air conditioning it didn't work, I would imagine there was an extra charge for this however my travelling friends didn't want it so I never inquired any further about it. The apartment was excellent value for money and the beds were extremely comfortable. The towels and sheets were changed every other day and the manager was very helpful and accommodating.